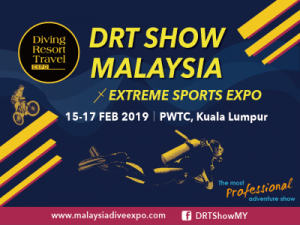 Diving, Resort and Travel Expo (DRT SHOW) Malaysia is proudly announcing that we will take place at Putra World Trade Center on 15 to 17 February 2019. The DRT SHOW has met an overwhelming response as an important regional event. We are supported by top-level exhibitors, tourism boards, training systems, leading dive equipment manufacturers, water sport equipment manufacturers, diving resorts, marine conservation associations, and diving organizations. DRT SHOW Malaysia is considered as the best platform to serve exhibitors in Malaysia market. We believe Malaysia market is more potential than others as it has 30 million of population with great location in the middle of South East Asia. In 2019, DRT SHOW Malaysia will create a better result under the Trade War which is happening recently, we can provide exhibitors a good platform to looking for new buyers from Asia Pacific. Why must you join DRT SHOW Malaysia? 1. February in 2019 is a better trading timing and the expo will start before the diving season. More diving instructors and dive operators are expected to visit the show. 2. Better rates and good offers for DRT SHOW Malaysia exhibitors. 3. Organized, high-quality and professional services. 4. Supported by many official tourism boards. 5. Supported by Asian Underwater Federation (AUF) and many diving training agencies. 6. We truly promote the value and culture of Malaysian diving industry. 7. 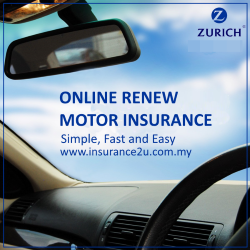 We truly bring you a wider market and more customers. 8. DRT SHOW is the only professional diving, resort and travel expo in Malaysia.